Built around a Colonial-era train depot design complete with a 1960s water tower, Harambe Market invites Disney guests to sample true flavors of Africa. Four themed shops offer fresh meals, snacks and beverages like those found in an African street market. Some snack items have seen around a 25% increase in price. 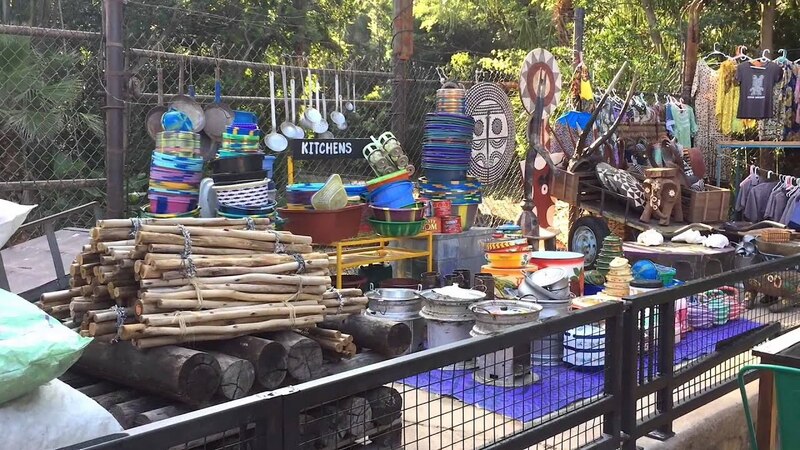 See the latest addition that completes the new Harambe Market area at Disney's Animal Kingdom. Photos of the new Zuri's Sweets behind construction walls in Harambe at Disney's Animal Kingdom.